Anyone who uses a smartphone can attest to the incredible power of real-time, in-the-moment discovery that leads to decisions and outcomes. But, now in an age of voice-assisted devices, we are further empowered to command information or purchase on-demand. “OK Google, Alexa, Hey Siri, what are the best bluetooth headphones for me?” Or, “Please reorder groceries from last week for delivery tomorrow afternoon.” Like mobile shopping, voice-assisted behavior is also becoming second-nature. Brands must now reimagine the customer journey and design for always-on, continuous and assistive engagement…dedicated for voice and mobile screens. Every day, customers are becoming more and more mobile and as a result, more informed, empowered, demanding and impatient. Mobile devices and smart assistants are now the first point of reference for a rapidly growing share of your market. These devices add a new dimension to the shopper journey while also introducing new shopping behaviors. For example, in its research, Google learned that mobile searches for “where to buy” grew over 85% in the past two years. And, 44% of those who use their voice-activated speaker at least weekly say they use the device to order products they need like groceries and household items at least once a week. Modernize the customer journey for mobile and voice. This is where everything changes when it comes to customer experience (CX). Consumers who depend upon mobile and voice-assisted devices are introducing new opportunities for engagement. They are seeking next-level assistance. Brands must now modernize touchpoints to greet customers in the context of their device and intent. 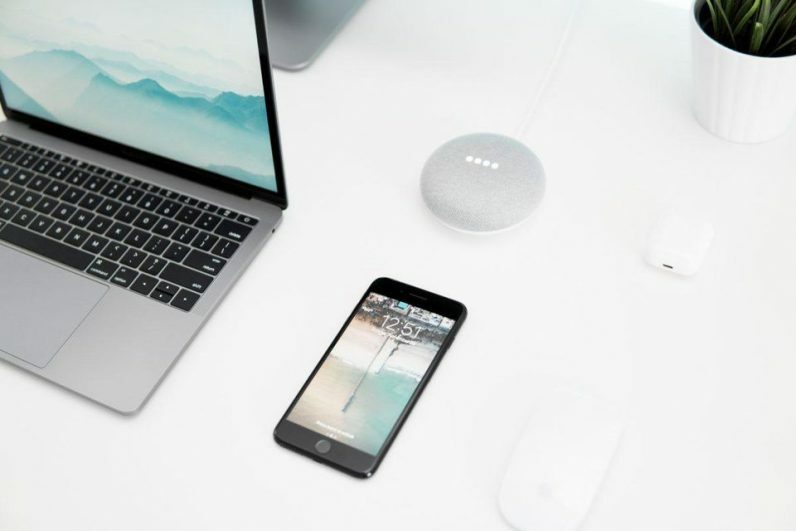 In the case of mobile and voice-assisted devices, that takes delivering useful content and simple touchpoints to help them achieve their goal productively and seamlessly. Shah sees mobile and voice as investments in improving customer experiences and outcomes. “Our goal is to remove all the drag coefficients between you and your purchase. From the customer’s point of view, it provides a very seamless multichannel and multi-mindset experience,” he said. Shah continued, “Everything that we’re seeing flourish today—mobile, voice assistants, machine learning, AI—it’s all taking us right back to our DNA of having one-on-one relationships with customers.” While mobile has and continues to completely disrupt the shopping landscape and introduce new customer behaviors, voice is following suit. “The volume of engagement we see already suggests that conversational commerce is not a horizon outcome. Customers are shopping with their voice now,” he observed. Help customers take action…their way. More and more intelligent platforms, such as Google’s Shopping Actions, are starting to connect the dots between customer intent, discovery and outcomes across devices/channels. As such, brands need a new blueprint to compete differently on different devices, as touchpoints and the customer journey continues to evolve. Beyond websites and landing pages, mobile sites and apps, brands must now develop a dedicated vision and architecture for seamless, on-demand mobile and voice experiences. The goal is to assist and to stitch-together divergent behaviors, regardless of device, and to listen to and guide consumers as they jump channels, devices and transactions. Ensures brands are present during mobile and voice search. Converts customers based on matching intent with desired outcomes. Integrates collaborative shopping lists, portable carts, instant checkouts and mobile wallets. Introduces on-demand shopping based on historical purchases-linked through personalized, relevant information—specifically designed for mobile behavior. Increases loyalty by simplifying decision-making and also makes journeys more instant and intuitive to mobile and voice-assisted devices. There is now a real need and bona fide competitive advantage to modernize the customer journey for a mobile and voice-prompted era of assisted consumerism. Doing so greets and assists customers in ways that are pleasantly intuitive and useful, while introducing immediate competitive advantages. The shopping journey has been and will continue to be disrupted. The brands that win will be those that understand where, how and why customers are making decisions, cater to what they need in critical moments of accelerated decision-making, and deliver utility and value in each moment (regardless of device). And, the brands that win compete to assist. In return, they gain more than conversions, they also earn trust and ultimately, the prestige of becoming an advisor brand.